A thunderstorm passed through the area tonight, and after it had gone by, the sky cleared up and the moon was shining brightly on the water outside my window. 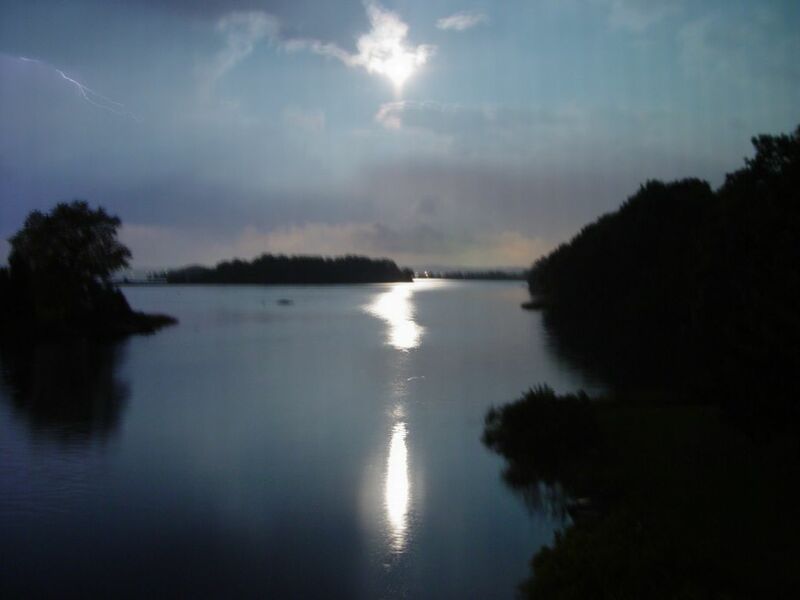 I figured I'd try to get a picture of the tranquil view, but didn't have a tripod handy so I tried to just keep the camera steady, which wasn't too easy with a 20 second exposure (that's why it's kinda blury and the moon looks more light a big bright area). But, the reason I like this picture is while it was being taken, there was a flash of lightning off in the distance. Surprisingly, I actually caught the lightning bolt in this picture. It's in the upper left corner - maybe a bit hard to see unless you click on the picture for a larger view. Here's a zoomed in view of that corner of the picture. You can click on it for a slightly larger view. 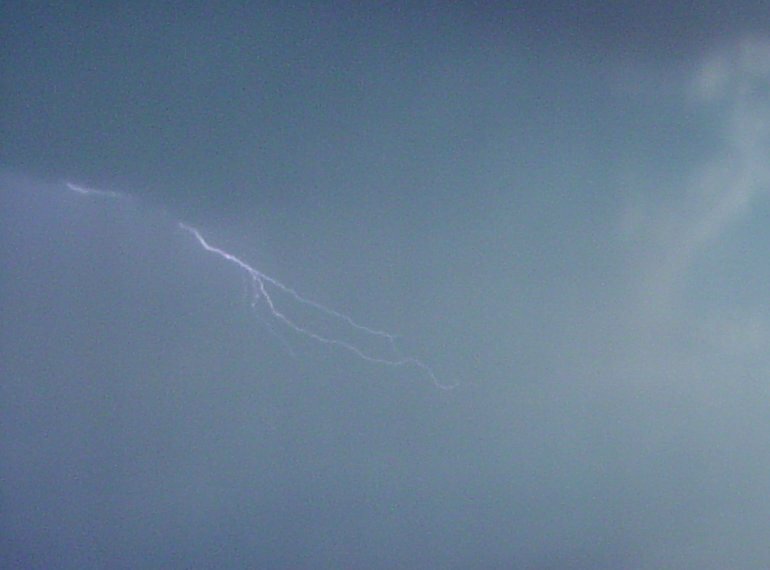 It's kind of funny - I had always wanted to try to take a picture of a lightning bolt, but never tried. Now I did it by accident.